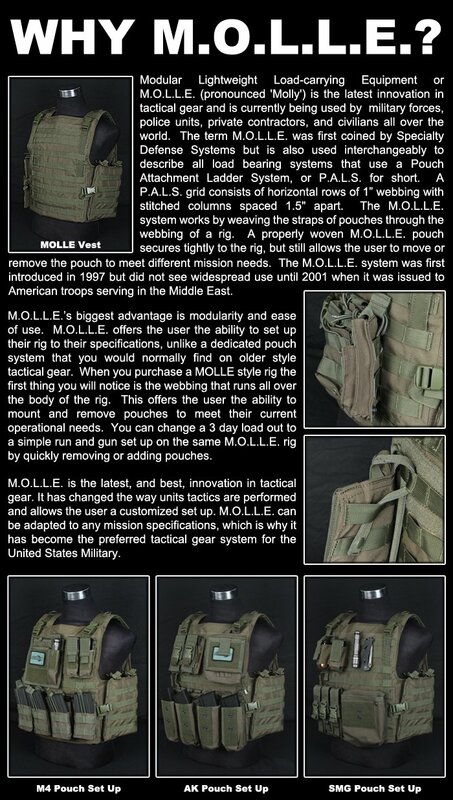 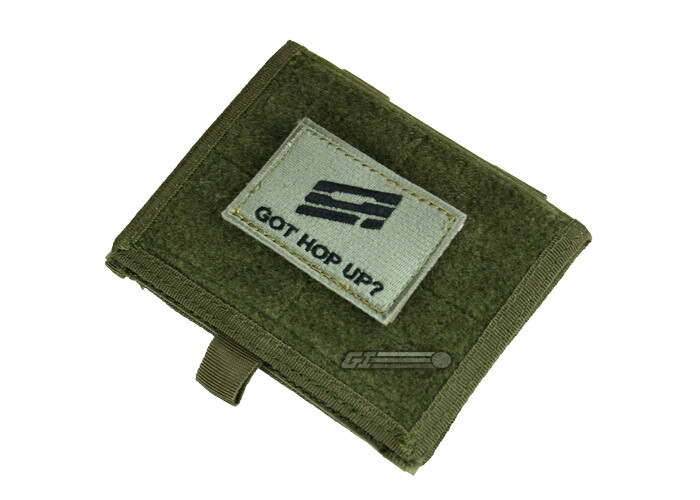 The Condor Outdoor Molle ID Pouch is a slim pouch with two molle straps to attach to a molle rig or belt. 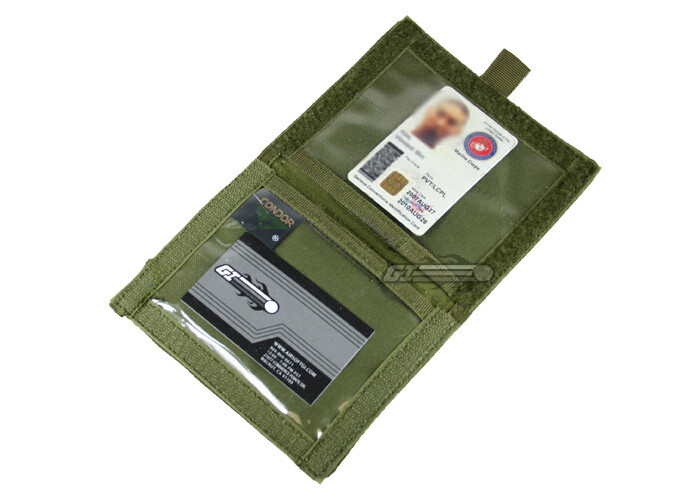 The inside features two vinyl panels for multiple forms of ID. 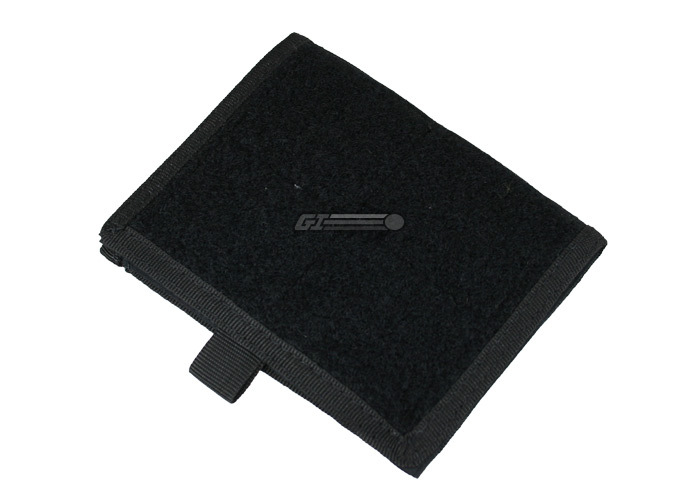 The outer panel is completely Velcro for patches or badge holders.